Parc Huron, a 221 unit luxury rental high-rise in Chicago’s River north neighborhood, has received ENERGY STAR certification from the Environmental Protection Agency (EPA). According to the EPA, the ENERGY STAR certification designates the building as “an energy-efficient top performer that saves money without sacrificing performance”. The certification requires the building to outperform at least 75 percent of similar buildings nationwide and is independently reviewed on an annual basis. 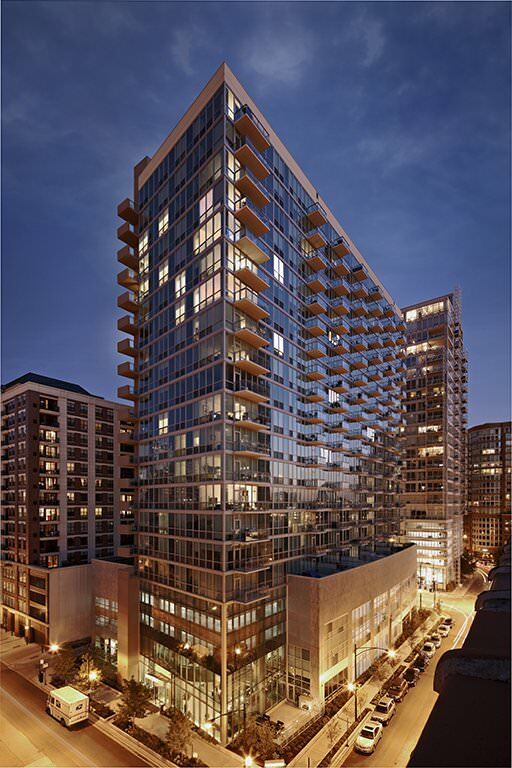 The Hartshorne Plunkard Architecture designed high-rise opened in 2010 and was the first rental high-rise in Illinois to receive LEED Gold Certification from the U.S. Green Building Council (USGBC). The building utilizes high performance exterior glazing, extensive day-lighting, LED lighting, ENERY STAR rated appliances, and efficient mechanical, electrical and plumbing systems to meet its sustainability goals. HPA’s Sustainability Group, led by Principal Megan Zack, coordinated all sustainable elements of the project including the ENERGY STAR certification. The Sustainability Group works with HPA’s clients to implement sustainable design strategies that lower operating costs and reduce environmental impact. Reference the Parc Huron project page for additional information.